All employees are protected from workplace discrimination by federal and state law. For example, California residents are protected by both the Fair Employment and Housing Act, and the Federal Civil Rights Act of 1991. If you feel that you may have been the victim of any type of workplace discrimination, you have the right to contact a labor law attorney for advice regarding employment law. An employment discrimination lawyer in San Jose can determine whether the discriminatory actions you have suffered are illegal. In the event that you’ve been the victim of discriminatory actions such as those based on age, gender, religion, race, sexual orientation, disability, or marital status, your labor law attorney can file a claim on your behalf. 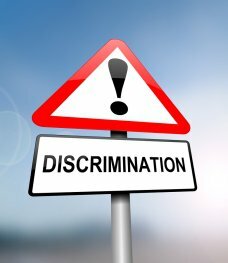 Many people hesitate to file a discrimination claim out of fear of retaliation. However, retaliation for reporting or objecting to discrimination is also illegal. In fact, evidence of retaliation can serve to substantiate your claim of discrimination.